Fixed odds betting terminals (FOBTs) have become a hot topic for UK gaming operators over the last two years. Following protests by anti-gambling advocates, the government initiated a full review of the betting shop gaming machines at the end of 2017. At the heart of the debate was the amount players were able to bet. Under the regulations at the time, players could wager a maximum of £100 per round. For those opposed to the live gaming terminals, this was too much. According to data provided by the UK Gambling Commission (UKGC), British punters spent £1.82 billion on FOBTs in the year ending September 2016. As well as being an increase of £57 million compared to the previous account period, the figure meant the average FOBT was taking £52,887 a year. In response to the statistics, a number of political, religious and media figures called for changes. The government reacted by created an all-party group to assess the social and economic impact of FOBTS. “This group, powered by the passion of the members in both Houses of Parliament on this issue, will allow a coordinated effort among politicians of all political parties, to come together to discuss how best to address the issues that FOBTs are causing to our communities," read a 2017 statement from the group. A formal review followed and the government eventually moved to reduce the maximum bet per round to £2. However, following pressure for UK betting operators, the reduction may be postponed until 2020. With tax revenue from FOBTs totalling £457 million per annuum, the Treasury is wary an immediate change could leave a hole in the national coffers. Some of the UK’s leading betting brands have also called for cooling off period. 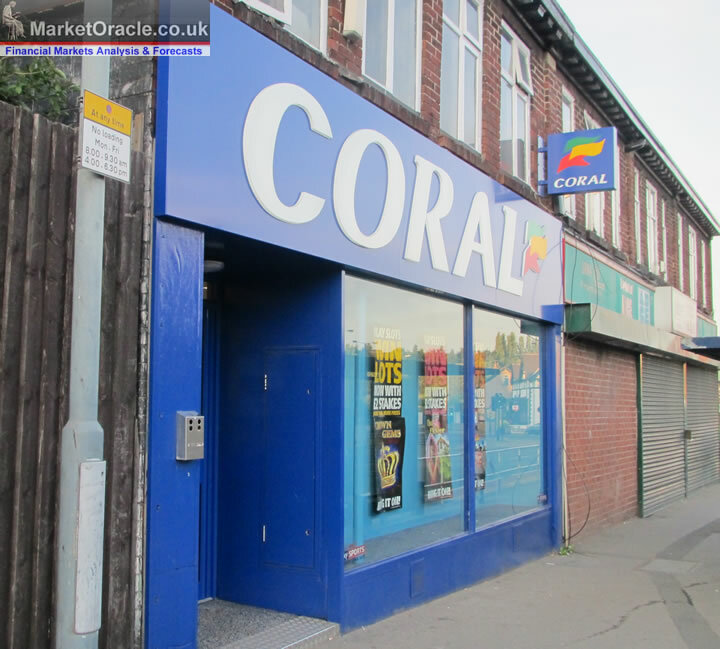 Prior to the changes, analysts and Barclays Capital predicted that a £2 maximum stake would cost Ladbrokes Coral £450 million a year in lost revenue. Expanding on this, Barclays’ financial experts noted a bearish trend for the share price of Ladbrokes Coral and William Hill. Reviewing the trading prices of the UK’s two largest betting companies back in January, analysts noted drops of 92.% and 12.3% for Ladbrokes Coral and William Hill, respectively. As the changes were announced in May, the bearish trend continued with the former’s share price falling by 4% and the latter’s taking a 6.5% dip. With investors backing off, both companies have announced betting shop closures. With revenue set to fall, the stores will no longer be commercially viable. To counter this, the leading British betting brands are now focusing their efforts online. Paddy Power Betfair has already shown that a downturn in betting shop revenue won’t negatively impact its bottom-line. Publishing its H1 revenue report on August 8, the operator noted a 4% increase in profit to £106 million. Commenting on the results, executives at the Irish firm believed that better-than-average sports betting options mean it will be able to withstand any changes to FOBTs. Beyond the fortunes of Paddy Power Betfair, online-only operators have remained bullish. Thanks to subsidiaries like 888 Ladies, a bingo site that’s been operational since 2008, 888 Holdings reported record revenue in 2017. Citing growth across its online network, 888 has capitalised on its market position and expanded its brand in key markets outside of the UK, including Spain, Italy and the US. Like 888, Sky Bet has also been sheltered from the FOBT unrest. Despite not having a presence on British high streets, Sky Bet has been able to compete with the likes of William Hill thanks to its media links. Through Sky Sports’ coverage of the Premier League and the natural association with the Sky Bet brand, this platform has been able to flourish as many of its peers have faltered. Posting its fiscal year earnings to June 2018, Sky Bet saw a 36.5% year-on-year upturn in betting revenue. Although favourable results during the World Cup boosted the company’s net win margin, customer stakes were up by 13%. Between 888 and Sky Bet, the market is starting to turn more towards the online sector. Even before the government’s FOBT cuts forced operators to refocus their core assets, research by the UKGC showed the more people were betting online than ever before. 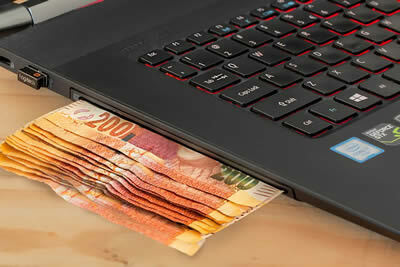 According to a 2018 overview, the number of betting shops had decreased by 3.2% to March 2018, while gross gaming yield (GGY) for the online sector increased by 3.7%. What’s clear is that interest in online betting has increased and, moreover, will continue to increase. On the investment front, shares in companies with a vested interest in this sector are likely to thrive in the coming years. In fact, with the US recently repealing a 26-year long sports betting ban, many British operators are now looking for new opportunities across the Atlantic. Even though Donald Trump’s presidency might have hurt the US in various economic affairs with China et al, his term has been positive for the betting industry. Indeed, with states now free to enact their own sports betting laws if they wish, it’s opening up new opportunities for everyone. Between this and the surge in online betting activity, the FOBT may not have as much of an impact on the leading brands as it otherwise would have. © 2018 Copyright Alex - All Rights Reserved Disclaimer: The above is a matter of opinion provided for general information purposes only and is not intended as investment advice. Information and analysis above are derived from sources and utilising methods believed to be reliable, but we cannot accept responsibility for any losses you may incur as a result of this analysis. Individuals should consult with their personal financial advisors.